Working with Windows RADIUS Server. The diagram below shows a typical Parallels Remote Application Server scenario, with the Publishing agent connected to a Radius server. 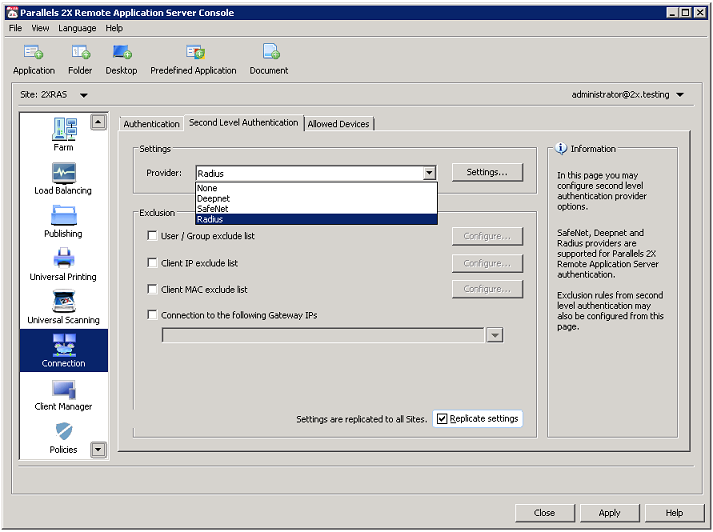 In Parallels Remote Application Server Console, choose Connection and click the Second Level Authentication tab. 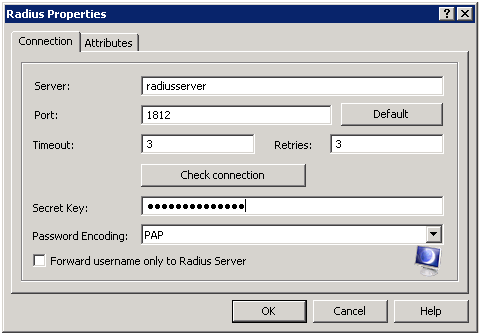 Select Radius as a provider. In the Server text box, enter the hostname or IP of the Radius Server. 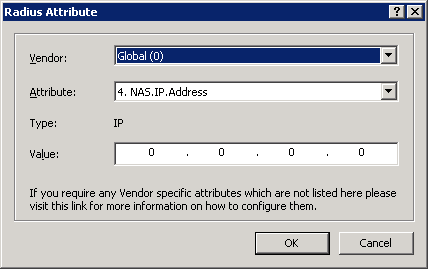 In the Port text box, enter the port number for the Radius Server. In the Timeout text box, specify the packet timeout in seconds. In the Retries text box, specify the number of retries when attempting to establish a connection. The global timeout is timeout multiplied by the number of retries. Type the secret key and specify the password encoding protocal, either PAP (Password Authentication Protocol) or CHAP (Challenge Handshake Authentication Protocol), according to the setting Specified on the Radius Server. Click OK.
To validate your connection settings, click the Check connection button. If the connection settings are configured correctly, a confirmation appears. 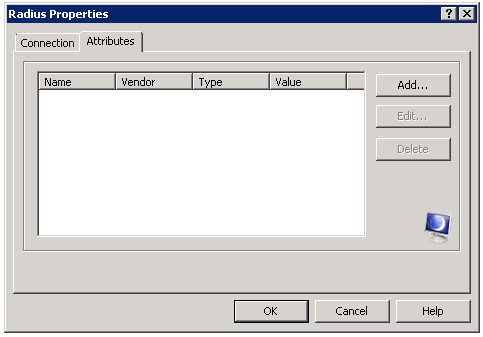 If your Radius vendor requires specific attributes, click the Attribute tab and then click Add. Select the vendor for the attribute from the Vendor dropdown list. Select the vendor attribute from the Attribute dropdown list. Enter the value for the selected attribute. The value can be a numeric value, a string, an IP or a time value.